We required a shade sail to cover our parking area beside our garage. We approached Sean and from the first contact he was professional. His site visit and quote were prompt and we were impressed with his knowledge of the product he was supplying. We would have no hesitation in recommending Sean. Should we need any further work of that type in the future he would be the first person we would contact. 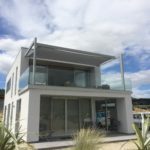 “I was very impressed with the service provided by Sean at Shade NZ. Right from start of the design process Sean demonstrated a real thoroughness. 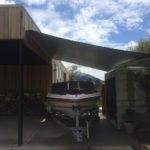 Our sail was a large double carport installation and Sean really thought through and discussed with us the installation options to ensure that the sail was appropriately anchored. The installation itself was very straightforward and took just a handful of hours. 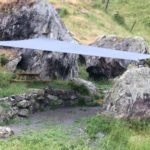 Sean’s easy going style together with his considered approach for installation gives me a real confidence that sail will hold firm for many years – even in Wanaka’s windy 2016/2017 summer!